Dr. Elgari was a Former Professor of Islamic Economic at King Abdulaziz University, Jeddah, Saudi Arabia and Former Director of the Center for Research in Islamic Economics, in the same university. He is an Expert at the Islamic Jurisprudence Academy of the OIC and the Islamic Jurisprudence Academy of the Islamic World League and a member of the Shari’ah Council of AAOFI. He is member of editorial board of several academic publications in the field of Islamic Finance and Jurisprudence among them, Journal of the Jurisprudence Academy (of the IWL), Journal of Islamic Economic Studies (IDB), Journal of Islamic Economic (IAIE, London), and the advisory board of Harvard Series in Islamic Law, Harvard Law School. 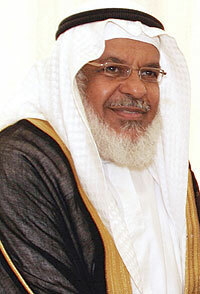 Dr. Elgari is member of numerous Shariah Boards of Islamic Banks and Takaful Companies world wide. He authored several books in Islamic finance and published tens of articles on the subject both in Arabic and English. Dr. Elgari is also a frequent speaker in conferences worldwide. The Islamic Development Bank prize in Islamic Banking and Finance. KLIFF Islamic Finance Award for Most Outstanding Contribution to Islamic Finance (Individual). Euromoney’s Award for Outstanding Contribution to Islamic Finance. Dr. Elgari holds a PhD from the University of California and was born in Makkah, Saudi Arabia in the year 1949.